A total of Rs.122.3 million is owed to SriLankan by the Presidential Secretariat, the Foreign Affairs Ministry and the Commonwealth Games Committee for charted flights they have booked between 2006 and 2014, SriLankan Airlines Network Planning Manager Sumudu Upattisa informed the PCoI on Wednesday. The Presidential Commission is inquiring into irregularities at SriLankan Airlines, SriLankan Catering and Mihin Lanka. Mr. Upatissa said the airlines had written to these government institutions calling for the overdue amounts. 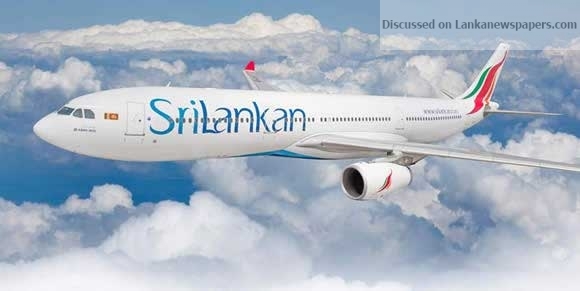 When counsel appearing on behalf of the AG’s Department asked Mr. Upatissa, he said the money was due to the airlines for the several charted flights booked by these institutions during the Rajapaksa administration. “There were several flights to Johannesburg, Tel Aviv, Rome and Bolivia. SriLankan does not fly to these destinations on a regular basis,” he said. Mr. Upatissa told the PCoI that in a charted flight to Johannesburg in December 2013, there were only 26 passengers whereas it could carry 243. He said the Presidential Secretariat paid the airline Rs.36 million for this A340 flight which has had 38 business class seats and 205 economy class seats while on another chartered flight to Tel Aviv, Israel in January 2014, the Presidential Secretariat paid the airlines Rs.46.3 million. “Only 48 passengers travelled on this aircraft, which can carry 312. Interestingly, the plane landed first in Amman, the capital of Jordan, where 42 passengers got off. Only six people flew to Tel Aviv,” Mr. Upatissa told the PCoI. He also informed the commission that the Presidential Secretariat had not paid the Rs.43.4 million owed for a chartered flight to Rome in October 2014 and that it had 69 passengers onboard while it could carry 312 passengers.